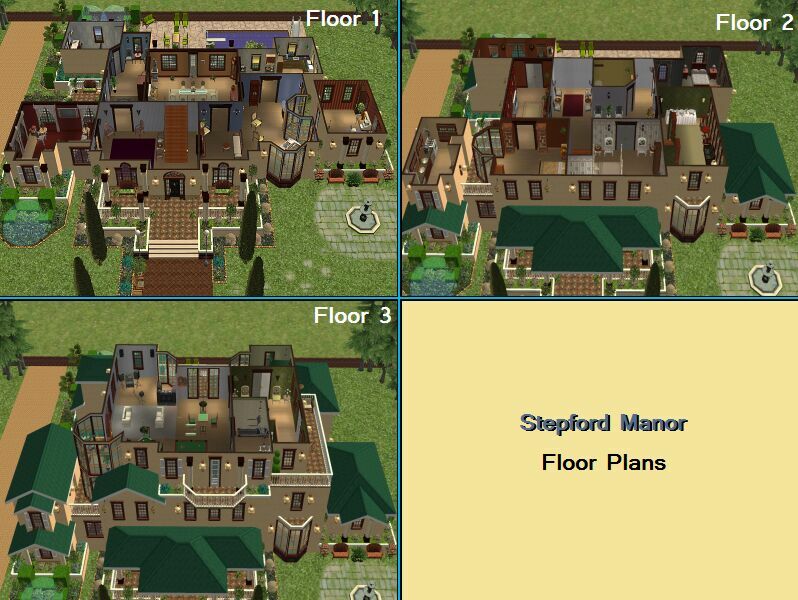 Mod The Sims - The Stepford Project V: Final Mansion by D.D.I. The Stepford Project V: Final Mansion by D.D.I. 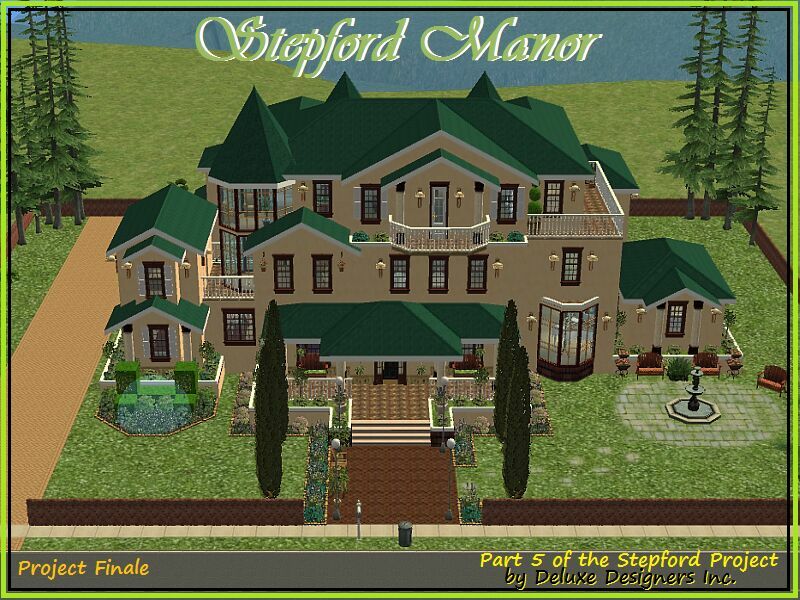 THE STEPFORD PROJECT: PART 5 - Stepford Manor! 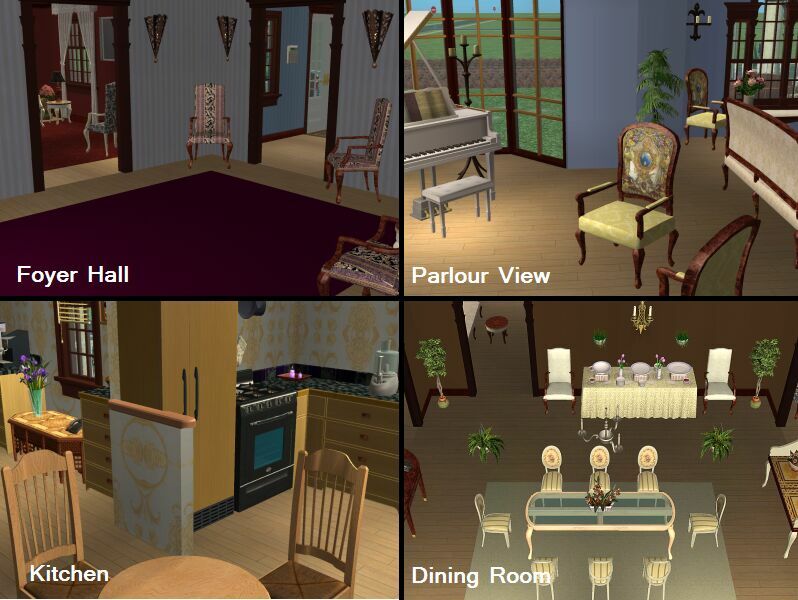 The authentic look of the orginal design has been maintained as much as possible by using Maxis content. However, there are subtle differences in the overall appeal. Do enjoy the download. This house is among the favorites in this collection! The Stepford Project is a small collaborative project by Deluxe Designers Inc. (StephSim and Deluxe Designs). We wanted to bring your wealthy Sims a truly "exclusive" neighborhood to play in. What better place than Stepford, Connecticut. This project is based on the 2004 version of the American movie "The Stepford Wives". The movie basically tells a tale of how men bring their significant others to the seemingly "perfect" Stepford community to help them improve who they are. The cast includes Nicole Kidman, Matthew Broderick, Glenn Close, Christopher Walken, Bette Midler, John Lovitz, Faith Hill and many others. The Stepford Project revolves around this fictitious neighborhood and all of it's splendor. We will present the lots in parts. This is Part 5 and is the final Stepford lot. This lot is truly a collaborative effort between Deluxe Designs and StephSim! We took the best of ourselves and created this fabulous mansion. If you download no other lot in the Stepford Collection, this lot is a must have! Stepford Manor is indeed a mansion that mesmerizes! It is unique in design and the builders, Deluxe Designers Inc., took inspiration from the family who first lived there, the Ambercromby family. Apparently, the final vacation the Ambercromby family took led them to the ends of Europe. They went from Ireland to England to Italy, France and finally Spain. The manse has a distinctively Mediterrannean feel to it. The bold roof color and the calming Tuscan Stucco blend in pure perfection. Please do come in and take a look around. 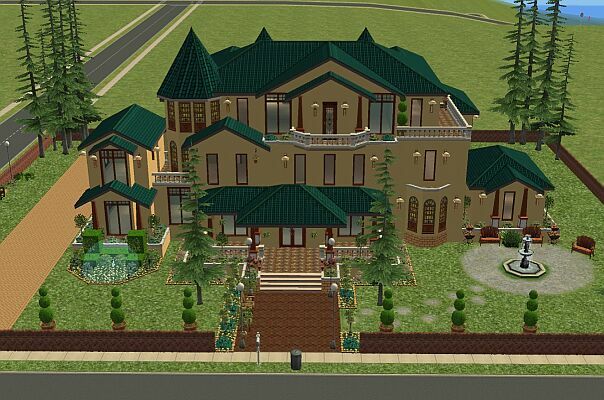 This could be the house of your Sim dreams! 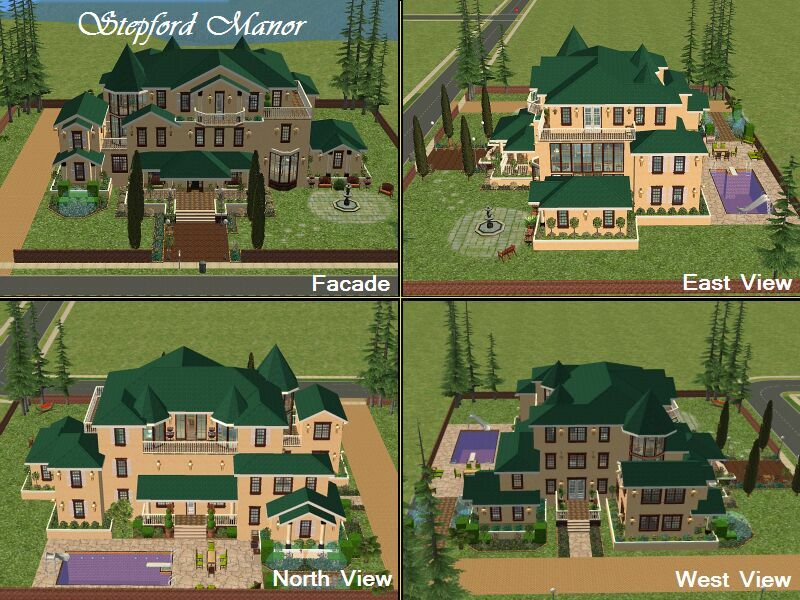 There are 2 downloads for the Stepford Manor, 1 FURNISHED and 1 UNFURNISHED. This grand home is the final lot in a very classic series of wonderful Stepford homes. Thank you to the following artists for helping to bring this Sim lot to life: Simnuts101, Ailias, Xrax, rebecah, Mzcynnamon, Phoenix_Phaerie and Macarossi. Be sure to browse the links at the end of the post for other fabulous downloads by each artist! These lots contain Custom Content. All custom content included are build items (walls, floors, terrains, doors, windows, etc.). Any custom content used has been tested in the game for playability. 219 people have said thanks to Deluxe Designers Inc. for this download. The Stepford Project I: 2 Mansions by D.D.I. The Stepford Project III: 3 Mansions by D.D.I. The Stepford Project II: Community Social Clubs by D.D.I.